As the regular readers know, I'm a member of the campus group called BASS, which stands for Bruin Alliance of Skeptics and Secularists. 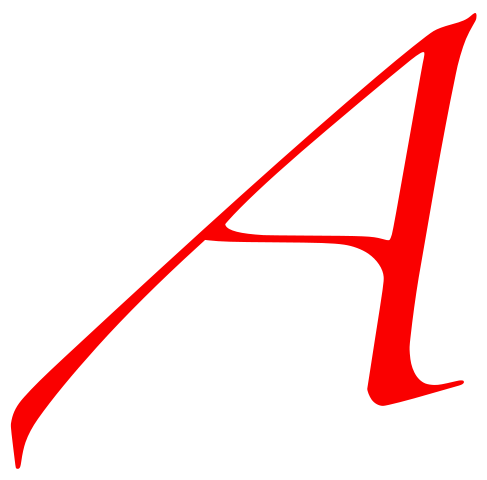 Note that the A does not stand for atheism. It isn't an atheist club, but it is. We advocate skepticism and secularism, which are not atheist-exclusive (I would hope not), but we're also the only group on campus to represent atheists. Does that mean our group has two roles, or one? I don't think anyone would go so far as to say we should exclude theists, but there are a number of people who think of skepticism and atheism as the same thing, or closely related things. This is debatable. However, I think they are two different ideas, and I think you should think so too. I will begin by conceding that skepticism and atheism are related. At the very least, they are correlated. But I think it's more than that. Skepticism actually causes people to become atheists, and atheism causes people to become skeptics. Anecdotally, I became an atheist because I carefully considered arguments while under a skeptical mindset (meaning, an open-minded, but critical mindset). And many atheists are highly sympathetic to the goals of skepticism, because they realize that religion isn't the only source of strange beliefs out there. Furthermore, I think there are good reasons underlying the causational link. Not that skepticism logically entails atheism, or anything so direct. But I do think atheism is more in the spirit of skepticism than theism is. I think the idea of appealing to an unknowable entity in order to explain the universe, or for pretty much any purpose at all, is not good skeptical practice. Even for deism or fideism, my thoughts are along the lines of, "I don't find that very compelling, and I don't think you should find it compelling either." But of course I would think these things. Of course I think atheism is more correct than its alternatives. I wouldn't be an atheist if I didn't. The thing is, there are a ton of things that cause disagreement among skeptics. When I first subscribed to Skeptic magazine, I found that I disagreed with a third to a half of it. That is totally how it should be. Obviously, if there's an article about investigating a paranormal claim, I would expect it to be a well-designed investigation with a more or less definitive conclusion. But a lot of these are opinion articles, or they are detailed interpretations of complicated bodies of evidence. If you're not picking out lots of specific details that you disagree with, you're not doing it right. Religion is very clearly within the region of "stuff that skeptics disagree about all the time". And it's a very popular topic too, because everyone seems to have a unique opinion about it. I've spent years in the atheist and skeptical blogospheres, and I still occasionally see a perspective that is unusual and surprising, and not in a bad way either. I find that the variance of religious perspectives is much greater than the mere difference between atheism and theism. If we were to exclude theists from the skeptical movement, to be consistent, we'd have to exclude a lot of atheists too. We couldn't possibly be so conformist. To finish this off, I'd like to make two imperfect comparisons to give two different angles on how religion relates to skepticism. First, religion is like politics. It is not a standard skeptical topic, but skeptics certainly tend to be politically conscious, and tend to enjoy discussing it. Libertarianism is not considered to be the same as skepticism, partly because less than half of skeptics are libertarians, but also because it's a completely different idea. Even if every skeptic were a libertarian, and if skepticism really did lead directly to libertarianism, we would still not consider the same thing. It's a difference of area of application, and a difference of method and conclusion. If you agree with the skeptical method, but by a strange twist of reasoning, come to an uncommon conclusion on one particular non-standard topic, you're still a skeptic. Second, theists are like women or ethnic minorities. Lamentably, there aren't many of them in the skeptical movement. For whatever reasons, skeptics tend to be predominantly white males. There should be more minorities and women! Not because we want to be able to say, "We're so diverse and tolerant," but because we should be equal opportunity. I don't like the idea that half of the population is for whatever reason less likely to be skeptical than the other half. Similarly, I don't like the idea that religious people are less likely to be skeptical than the nonreligious. I don't care if there's a good reason for it. It's still sad. As a matter of logic, there is a very good reason why you can't have statements that are both true and false. If the statement "P", and the statement "Not P" are both true, something bad happens. Let us express this with logic. Premise 1: Not P is true. Conclusion 1: "If P, then Q" is true, by Premise 1. Premise 2: P is true. Conclusion 2: Q is true, by Conclusion 1 and Premise 2. I just proved statement Q. Likewise, I can prove statement R, statement S, statement T, and so forth. All statements are necessarily true within this system of logic. This is called the Principle of Explosion. If we accept a single contradiction, then we must accept absolutely everything as true. Presumably we don't want to do that. And so, when you hear about a "different kind of truth", which includes statements that are both true and false, the claim is, on the face, very problematic. Perhaps we're talking about a kind of truth which does not operate by logic. If so, it probably doesn't deserve to be called a truth; it should be called something like "truthiness". Or perhaps it only appears that there are statements that are both true and false within the same system. In other words, the contradiction is an illusion, and therefore not something "deep". "The opposite of a correct statement is a false statement. But the opposite of a profound truth may well be another profound truth." I do not find this quote self-explanatory. What did he mean by that? And nowhere on the internet does there seem to be any information on the context of the quote. All I know is that the quote is unsourced, but a variant appeared in a book by Niels Bohr's son. Internet, you have failed me! At first, I thought the quote was criticizing "profound" truths. How true can it be, if its opposite is equally true? Perhaps we've been tricked by the profundity or cleverness in how it was stated. I find it is useful, whenever I come across an obvious truism, to consider the truism's opposite. If you find two truisms that are nearly opposite of each other, that's an indication that neither of the truths give the complete picture. Examples? It's hard to think up examples on the spot, but take a look at a few posters from Despair.com. It just goes to show that even cynical ideas can be made to sound profound. Of course, the opposite of a profound idealistic truth is not always a profound cynical truth, sometimes it's another profound idealistic truth. Like mercy and justice or something. But anyways, the evidence is not backing me up on my interpretation here. I suspect that Niels Bohr was actually thinking of wave-particle duality or "complementarity", whatever that means. That is just too bad because I don't think wave-particle duality is nearly as profound as popular science makes it out to be. So... light sometimes acts like a particle and sometimes acts like a wave. Pretty cool, yes, but did you know that the earth sometimes looks flat, and sometimes looks like a pale blue dot? Neither particle nor wave, neither flat-earth nor blue dot gives you the complete picture, and that's that. There's a hot new blog on the web called skepticblog. It features the cast of the new TV show called The Skeptologists. That includes Phil Plait, Michael Shermer, Steven Novella, Brian Dunning, Kirsten Sanford, Mark Edward, and Yau-man Chan. Each contributor has already written one essay, so you can see all the different perspectives we're getting in this shiny new package. The main subject is skepticism, of course, but I'll note that one of the essays was actually about politics. I doubt it will be representative of the blog as a whole, but it was still interesting. The essay: Michael Shermer questions the merits of the 700 billion bailout that's been in the news. My grandpa told us this anecdote. He will forgive me for reproducing it, because it's so well put. sink! It don't belong to me!" This puzzle requires a slightly different angle then the previous Painted Plane puzzles. We're going to use what's called the Pigeonhole Principle. The Pigeonhole Principle states that if we have more pigeons than pigeonholes, then there must exist a pigeonhole with more than one pigeon. For example, let's say we have three points. Each one is colored either red or blue. Therefore, there must be at least two points which are the same color. So here's the solution. Consider a grid of points, with three rows and nine columns. * In each column, there must exist two points which are the same color. Each column has 8 possible colorings, but there are 9 columns. Therefore, there must be two columns with the same coloring. Those two columns must contain a singly-colored rectangle. *It's actually possible to prove it with only three rows and seven columns, but the proof is slightly harder to explain. In the second problem, let's say we have N colors. We simply need to choose a larger grid of points, with N+1 rows and 2N+1+1 columns. Each column must contain two points of the same color. Each column has 2N+1 possible colorings. Therefore, there must exist two columns which are identically colored. Therefore, there must exist a singly-colored rectangle. Done. Susan of Intrinsically Knotted tagged me with this meme about atheism. There was no one day. My deconversion was a long process, over the course of about a year. This was in and around my senior year in my Jesuit (Catholic) high school. All that is really clear is that at the beginning of the year, I was "questioning", and at the end, I was fairly sure of my answer. To further complicate matters, during that time I was not at all concerned with what to call myself. It was some months later that I gradually decided that "atheist" was a useful label. There was no single day in which I changed my mind, and no single day in which I started to think of myself as an atheist. One of these days I intend to write up a proper deconversion story. I never considered myself agnostic. It's not that I skipped the "agnostic stage", but that I was unconcerned with labels during that time. I have very negative feelings about the word these days. If agnosticism just means not knowing, then I guess I've been agnostic all my life. So what purpose would it serve to call myself agnostic, except to imply that everyone else is dogmatic? As far as I remember, I prayed all through my senior year of high school. Never by my own initiative. Only at specified times in ceremonies or other activities. I never considered myself a religious person, the kind who would pray every night. Our family never said grace at meals either (only in college did I realize how common the practice is). Prayer was never important to me, and I never felt that I got much out of it. That said, I did believe that God was probably listening to the prayers. I did not believe God ever replied back to me; I did not ever expect him to. I didn't do petitional prayers, the kind of prayers that ask for stuff. That's only what the stereotypical prayer is like. My prayers were usually free-form, basically an internal chat with myself/God. My deconversion was never, at any point, an angry one. I'm still not angry. I like the Jesuits. Well, this political ad makes me angry, but that's got nothing to do with the truth or falsity of religion, much less the kind of religion I was in. As far back as I remember, I've never believed in ghosts. None of that paranormal stuff. Same goes for modern miracles. And remember, in my timeline, skepticism came before atheism. But if the question meant to ask about souls, then I'd still say no. I was always agnostic about souls, but this ended when I deconverted. Technically, I still believe in souls, albeit not the dualist kind. A person's soul is the collection of parts and properties which give the person a recognizable identity. It's very much a subjective concept, perhaps not very useful. I see absolutely no reason to think that souls are conserved after their creation. No, I want to be right. I'd rather the universe weren't a cheesy fable. Several months ago, the Templeton Foundation held a "conversation", featuring essays by many public intellectuals answering the question, "Does science make belief in God obsolete?" All sorts of views are represented; the participants include Christopher Hitchens, Steven Pinker, Michael Shermer, and Kenneth Miller. I haven't read them all yet, but I already want to respond to the second essay, by Catholic archbishop Christoph Cardinal Schönborn. Schönborn's answer, boiled down, is that science actually supports belief in God, but the scientistic mentality has (wrongly) made God irrelevant in the minds of many. Superficially it may seem that the advances of science have made God obsolete by providing natural explanations for phenomena that were once thought to be the result of direct divine activity—the so-called "God of the gaps." But this advance has been the completion of a program of purification from superstition begun thousands of years ago by Athens and Jerusalem, by a handful of Greek sages and by the people of Israel, who "de-divinized" Nature to a degree unparalleled in the ancient world. Schönborn begins by criticizing the "God of the gaps". That is, the God that is used to explain things just because we couldn't think of anything better. The God who throws lightning, because we didn't understand electricity. The God who turns the refrigerator light on whenever we open the door (my examples, not his). Schönborn criticizes the idea as superstition, superstition that good religion has been working against for years. Schönborn goes on to say that science has shown Nature to be complex, ordered, and elegant. As far as we know, it is built on the base of the Standard Model. From the Standard Model arises chemistry, biochemistry, plant life, animals, and humans. Every step of the hierarchy is intelligible. This, he takes to be the scientific evidence for God. To view all these extremely complex, elegant, and intelligible laws, entities, properties, and relations in the evolution of the universe as "brute facts" in need of no further explanation is, in the words of the great John Paul II, "an abdication of human intelligence." This gave me a turn, because he had just criticized the "God of the Gaps", the type of God who is merely used as a convenient explanation. And now he is using God to explain the fact that intelligible patterns tend to emerge in nature? He has not let go of the God of the Gaps at all! Well, technically, this is a different kind of gap for God to fill. The "God of the Gaps" that is typically derided is the kind of God that explains how lightning works. Science can easily explain lightning. But science will probably never be able to explain why the world behaves the way it does. The very question is in principle unanswerable. It is in principle, even unanswerable by God. God explains nothing. Or rather, God explains everything--it's same thing, really. God explains the things that exist and the things that do not exist equally well. What kind of explanation is that? Humans seek explanations--perhaps one of our more noble instincts. But we're not always good at telling the difference between an explanation and something that just looks like an explanation. If you study a true explanation, you ultimately get a better understanding of that which it explains. If I study quantum mechanics, I can get a better understanding of chemistry, perhaps even make new predictions. An explanation makes predictions. If I study God, I can't get a better understanding of chemistry at all. God predicts nothing. God predicts emergent patterns? If we didn't find those patterns, who would consider that evidence against God? That would just be evidence that God wanted to make the world more complex, or more mysterious, or he wanted to give scientists more to discover. God explains everything. God explains nothing. That is why the God of the Gaps is wrong. Not because God is used to explain things that will eventually be explained by science, but because God is used to explain. This is making me cynical. This guy, who rightly criticizes the God of the Gaps as superstition, is unwittingly holding to the same superstition. Does that mean there is nothing left, when we take the God of the Gaps away? I would argue no. There is still a god left. There's the God of experience. Of devotion, of spirituality. The God which brings religious communities together, sometimes in ritual and sometimes in action. The kind of God that we don't technically need to believe in to benefit from. The kind of God that should be completely unnecessary, because we can do all that without him. Wait, this is the atheist's god. That is, no god at all. A god born of poetry, all the better for it to be abused by the misguided. The rest of the essay might be considered an example of this abuse. Schönborn waxes metaphysical about how materialism and scientism is pushing out God, but we'll still come back because we have... the hunger (I've been watching too much Heroes). Yeah, I just don't think it's true that everyone has an inner craving for God (Schönborn probably thinks it's just really well-hidden). And a craving for the God of the Gaps that Schönborn believes in? Um, no thanks. Because I am a puzzle enthusiast, many a person has naturally assumed that I am also a sudoku enthusiast. Not so. Sure, sudoku is a puzzle of sorts, but I have standards. I am somewhat picky about puzzles, in fact. It is a consequence of seeing so many of them--I have a fairly good conception of what constitutes a "good" puzzle and a "bad" puzzle. Have I ever told the story about why I dislike Mensa? I was once deeply unimpressed by a set of puzzles that they had published... Deeply unimpressed. But I digress. As for sudoku, sudoku has no soul. As I was saying, sudoku has no soul. Okay, I'll concede that it has a soul, but only one, and it's fragmented among all of the many many sudoku puzzles that have ever been created. Sudoku is the Lord Voldemort of puzzles. The sudoku puzzle is one of those puzzles that is easily manufactured. There's software out there that can simply create these puzzles with no real human input. Just tell the computer what difficulty you want, and it will generate a brand new puzzle with different numbers filled in the squares. It's sort of like those factory-made hamburgers that everyone loves to hate (but in practice are very popular). If you like human ingenuity in your puzzles, you won't find it in sudoku. Even if you have one of those hand-made sudoku puzzles, it's only marginally better. The point is that it could have been made by a computer. To solve pretty much any sudoku puzzle, you just have to learn three or four elementary steps. The rest of the puzzle is just learning to use them more efficiently. Learning to do it more quickly. But never, in all the sudoku puzzles you ever see, will you ever encounter anything truly different. It's always the same. Not exactly the same, but the same on some level of abstraction. I don't like crossword puzzles either, but at least they have new trivia questions every day. It's sort of like giving a daily Rubik's cube puzzle. There are only a few tricks you have to learn to solve any Rubik's cube arrangement. Thus, one Rubik's cube arrangement is about the same as any other. The Rubik's cube cannot be a daily puzzle, because it is only one puzzle, not many. Likewise, sudoku is only one puzzle, with one soul. Its soul is fragmented once more every time a computer produces another sudoku puzzle. As far as puzzles with fragmented souls go, sudoku isn't even a particularly interesting one. Yes, there are a whole bunch of other pencil-grid puzzles, each with different rules. The Japanese puzzle magazine Nikoli has created and popularized many of these puzzles. There are also a bunch of examples here, and more unusual examples here. Yes, I have lots of sites like these bookmarked, because for all my griping, I still like to do these puzzles on occasion. But not sudoku; I skip over those. Sudoku has got to be the most boring of them all. Most of the ones besides sudoku require more than 4 different elementary steps, or at least more interesting elementary steps. Some of the more difficult puzzles even require that you look at the puzzle hollistically rather than using elementary steps. The general population has managed to pick out the driest puzzle of the bunch. For some reason, I do not think this is a coincidence. There is something that I regret not blogging about. Over the past year since I've started blogging, I've undergone something of a transition. At this time, last year, I was unwilling to join any sort of a group. Now I'm a member of BASS, the campus skeptical/secularist/freethought group (also, a contributor to their blog). Does that qualify me as an activist now? An atheist activist? I don't even know. Last year at this time, it wasn't that I was ignorant. It wasn't that I didn't care. By that time, I had already been reading the skeptical blogosphere for a year, and had started my own blog. Obviously, I had some idea of what I was talking about. But there is a big difference between doing stuff online and offline. Surely, I'm not the only one who thinks so? For instance, online, before deciding to meet new people, I can just lurk indefinitely so I can see what I'm getting into. Not so in real life--I have to introduce myself before meeting new people. And from the outside, the culture of atheist activism looks scary. Both of them, "atheism" and "activism", are scary. This being the atheosphere, I assume most of you already understand why "atheism" can be a scary label. Even in a blue state, there is still a bit of a stigma attached to the word. Been there, read that. But what's harder to understand is an aversion to activism, and atheist activism in particular. Me and activism don't mix well together. I can imagine writing publicly, because I've been doing that for over a year, but I couldn't ever imagine forcing passersby to take pamphlets. Or asking for donations or petition signatures. Or participating in public debates as a skeptical representative. I don't know, I guess I'm just too introverted to do any of that. Also, the part of me that intuits people's reactions tells me that people would look down on that sort of thing. People can respect the kind of activism that feeds starving African children. People can respect political activism. But they can't respect skeptical activism or religious activism, much less atheist activism. Maybe I'm oversensitive about what everyone else thinks. But what am I going to do, persuade myself that I don't actually feel bad about it after all? Anyways, activists are a little weird. Of all those false stereotypes about atheists and skeptics, I suspect that a few of them are actually true of the activist subset. Not that that's necessarily a bad thing. Greta Christina once described the very same quality as "the amazingness of atheists". But, you see, I don't really consider myself amazing. Well, maybe I'm a little amazing, but I'm a different kind of amazing; I didn't feel like I'd fit in. But I slowly realized that several of my impressions were wrong. It began when I actually had a chance to meet some people. I don't know what I expected, but I was surprised at how diverse they were. They were diverse as a group, and each individual had diverse thoughts and opinions. Good thing, because I think I would get bored if we just talked about bigfoot, homeopathy, and religion-bashing all the time. But, of course, everyone else in the group would get bored too! I realized that I had been making silly excuses. Excuses along the lines of, "atheist activism is like another religion". I didn't think it was a religion, but like a religion, in that it's an organization of people who evangelize and talk about god. It turns out we don't really do much of that. For one thing, we're not organized enough. For another, I'm not the only one in the group who has ever had the concern. But you know, there are perfectly good secular reasons to have an organized organization that meets weekly. And though we don't really do anything that resembles "evangelizing", there are secular reasons to go down that path if we so choose (and secular reasons against it). Finally, I realized that I care. I'm not apathetic after all. I've always privately thought that, my strong opinions aside, I didn't really care much one way or another. It's easy to think so, when all you do is read and write. But when I actually talked to people, I realized that I was wrong. Some things do translate from internet to real life. And now, I still don't think of myself as an activist. I can't. I'm not. But now I'm a bit closer, and I don't feel the worse for it. Amid all our grammar naziin', it's easy to lose sight-- it's easy to lose sight of how fun it can be to participate in the destruction of the English language. No, I'm not talking about spelling errors and confusing "your" and "you're". As vital as the you're/your difference is to the infrastructure of English (that's why we have completely different spoken pronunciations for the two words), people might just think I did that on accident. No. There are better ways. For instance. I derive particular enjoyment from putting periods and commas outside of the quotes, rather than inside, where they belong. Take that, high school English teacher! I think this is how the Brits do it anyways. I take pleasure in knowing that no one ever catches my "mistake". ...Mispronouncing words? In writing? The blagotubes understand this. On a higher level, logical fallacies are also quite fun to use. What, you disagree? Only a bitter-hearted killjoy could disagree with something that is obviously meant to be a joke. Next, will you deny that there is a grain of truth in every good joke? 'Cause there is. I, the ultimate authority on this here blag, said it, so it must be true, except when I say it's not. All truths here are spoken by me, therefore I speak truth. Er... write truth. Now that we all agree, given my irrefutable arguments, it's time for some examples. For instance. Did you know that big feet cause good spelling? Kids with bigger feet tend to have better spelling. This relationship is obviously causative; good spelling causes bigger feet bigger feet cause good spelling. It's like they say, "Post hoc ergo propter hoc", or, "after, therefore because of". [Take that! Two more scores against English!] If the Latin language said it, it must be true. The Latin language is pretty old, you know. If the Latin language were a dying grandmother, rather than an already dead language, would you tell her she was wrong to her face? Okay, enough of that. I can only cram so many fallacies in a paragraph before it starts to appear unnatural. But I'll concede that it's fun to play the devil's advocate, to play the grammar nazi. Correcting every confusion of "your" and "you're". Flaming folks who say "could of". Mocking the overuse of quotation marks. Innocently interpreting there/their/they're mistakes as if they were intentional. Placing people into your "good" and "bad" books based on how grammatical they are. Yep, grammar naziin' can be fun times. The merciless skeptic, too, is a fun role to play. The painted plane returns! See previous parts: part I and part II. I've painted a flat, infinite, continuous plane. Each point on the plane is either painted red or blue. Prove that there must exist four points of the same color which form the corners of a rectangle. I've painted the plane again, this time using a large (but not infinite) number of colors. Prove that there must exist four points of the same color which form the corners of a rectangle. Update: The solution has been posted already. At the last Dragon*Con, there was a panel called "The future of skepticism", inspired by Daniel Loxton's essay "Where do we go from here". The panel has been recorded and hosted by the Skepticality Podcast. When Loxton's essay came out almost a year ago, I commented on this blog that I thought it was sad and inspiring. I don't know if I agree with last-year-me (all opinions have a finite half-life), but I'm obviously still interested in the topic. So it starts around high school maybe. Before that, I'm quite sure my interests were completely orthogonal to skepticism. But one of those interests was reading Scientific American, and that's how I saw Michael Shermer's "skeptic" column. This makes Shermer my Favorite Skeptic, even though I often disagree with him. Honestly, they did not seem like new ideas to me at the time. Surely, everyone intuitively knows that to find truth, we must discern it from non-truth. At the time, I thought it was exciting that Shermer was debunking moon hoax conspiracies and bottled water, but I also felt like I had agreed with him all along, if not actively so. Of course, I thought Shermer was just this guy who wrote a really interesting column, and thought of it the same way I thought of Anti-Gravity (the humor column). I didn't learn about the skeptical movement, that there is actually a group of "skeptics", until a bit later. Basically, I was into puzzles at the time (still am, did you notice? ), and puzzles were first thing on the internet that ever interested me. Through puzzles, I learned about infinite set theory, combinatorics, and also found some useful resources like this Encyclopedia of Integer Sequences and the Internet Anagram Server. In a fortuitous browsing moment, I looked at the fan e-mail that had been sent to the Internet Anagram Server, and saw one by Phil Plait, The Bad Astronomer (anagram of "moon trash debater"). That makes Phil Plait my Second Favorite Skeptic. At the time, Bad Astronomy was just this webpage, not a blog, but I kept on coming back to it until I said, "Hey, what's this, a blog?" As for the kind of skeptic I turned out to be, I figure my regular readers know just as well as I do. Because I'm a really abstract thinker, I can only get a real grip on general abstractions like "critical thinking", "confirmation bias", or "hoax vs honest belief"; I have trouble holding interest in such specific examples as "psychics", "moon hoax", or "bigfoot". Though I think these are all really important skeptical topics (except for bigfoot), I don't think I could ever seriously debunk them myself. That's why I'm glad we have people with different approaches, like James Randi, even if I get slightly annoyed by how little he seems to care about the "hoax vs honest belief" issue. In the mean time, I'll just keep on doing whatever it is I think I'm doing. Another topic that came up: atheism! It's not skepticism! In the panel, someone commented that skepticism and atheism are two different enterprises. Though this comment met applause, most speakers continued on as if atheism and skepticism were the same thing! I find this grating. It's an odd situation. The panel was talking about how there are all these young new people becoming active in the movement. I bet many many of them have found the skeptical movement via the atheist movement. I just hope the new people don't conflate the two. I'd love to rant more, but this deserves a new post all to itself. The panel also made me think about skepticism as a label. Personally, I don't really care if people call themselves skeptics, or if they consider themselves part of the skeptical movement. Yes, we need activists, but we don't need everyone to be an activist. And "skepticism" is just a word. I care that people realize that critical thinking is a vital tool for the modern age. I care that people recognize the importance of science, the importance of discerning truth from non-truth. The end-game of skepticism is not a world where everyone is a skeptic. There is no end-game at all, in fact. We just need to promote critical thinking as best we can, generation by generation. By its very nature, critical thinking is not something we simply accept and be done with. To think critically is a forever changing, nontrivial task. Remember the computer game Spore, which simulated the history of a species, from a tiny cell to a sentient, space-faring civilization? Of course you do. It was just released last month. So here's the deal: I'm going to briefly discuss how Spore treats evolution, science, and all the other things that skeptical evolutionists care about. Some people might complain, "It's just a game. Why do you care so much about whether the game universe realistically portrays the real universe?" To this I respond, "It's just a blog. Of course I don't think a game should be judged for how realistic it is! This is just my excuse to talk about science and pop culture." Spore begins by completely avoiding the question of how life formed. Instead, a meteorite falls into a planet's ocean, opens up, letting the first life form out. I gotta say, panspermia is way cool. Anyways, this first life form starts out with eyes, a mouth, bilateral symmetry, and a spine, and you instantly find yourself in a 2-d environment populated predators and prey/food. It all seems very vertebrate-centric, skipping all previous evolution and ignoring alternate paths. I guess that's because single-celled organisms are ugly and boring gameplay elements. I mean, there was a cool game in The Time Warp of Dr. Brain called "Primordial Soup", but I digress. In Spore, your creature evolves in leaps and bounds, as a mere representation of the real process. Every time you mate (G-rated mating, naturally), you're given the choice to change around the morphology of your creature. You know, add a spiky thing here, an electric protrusion there, like legos! Two problems: The overly progressionistic portrayal of evolution is not exactly right, but then what kind of game would it be where you didn't progress? You might also protest, "Isn't this more like Intelligent Design than evolution?" Yes, but it would be kind of boring if you didn't get to decide how your creature would evolve, wouldn't it? Well, natural selection simulators like this one or that one are Fun Times, but again I digress. Point is, a natural selection simulator would be a whole different game, not Spore at all. Eventually, after about half an hour real-time or several billion years game-time, your creature progresses to where it can evolve legs and walk on land. In one of the game's more realistic moments, all of your creature's old body parts gain different functions on land. That electric protrusion? It doesn't work on land, so now it's used to give your creature the ability to "charm". This happens all the time in evolution, so I think it's sweet that they had it in the game. That is, the changing of functions is sweet, not the "charm" thing. I have no idea what the "charm" action corresponds to in the real world (it is used to charm other species, not your mate). On land, evolution continues representationally. However! Now, not only can we forget about natural selection of any kind, we also no longer have any sort of emergent fitness. In the 2-d water environment, placing the spiky thing on the front would make you more offensive, while placing it in the back would allow it to poke pursuants. On land, it doesn't really matter where you put your spiky things, as long as they're somewhere on your creature. For example, if you've got a spur-shaped appendage, it doesn't make a difference whether you place it on your arms, where it might be handy, or if you place it on your back, where its use appears impossible. Apparently, early in the Spore's game design, they intended to have fitness emerge from the morphology of the creature, but they just couldn't pull it off. Play-testers felt that their creativity was limited by this mysterious formula which determined speed and other fitness. Eventually, they decided that the player should be able to design their creature in whatever way most pleases them, with relatively little effect on fitness (source: this interview). That's too bad, because emergent fitness is a very fascinating gameplay element (also more realistic, and necessary for evolution, if anyone cares to know). But who are we to question the omniscient game designers? They are gods' gods. One of the elements in the game is a sort of sliding scale between a more social species and a more aggressive species. You can move back and forth between the two strategies, and your decisions will show up on this cool timeline of your species' history. At first, this is affected by whether you eat plants or meat. Later, it depends on whether you befriend other creatures or if you attack them. Even later, when your species starts a civilization, you can choose between a religious, economic, or military strategy. Supposedly, this made some "militant atheists" angry, but I'm not sure I believe in the existence of such people. I played once as a religious civilization, and I thought it was hilarious. A militaristic civilization attacks and conquers other cities. An economic civilization buys out other cities. A religious civilization creates giant holograms above the city to convert them. They also shoot conversion rays. They are colorful and musical? On the subject of religion, when your species becomes a space-faring civilization, it gains a unique identity based on its entire history. You can become a Zealot, a sort of militaristic/religious combo, or a Shaman, a more mellow sort of religious civilization. Or you could be come a Diplomat, Ecologist, Scientist, Trader, Warrior, etc. They're like the different races in Star Trek. When you meet other races who are zealots, they're pretty funny because they justify everything by saying that Spode told them to. Scientists are also caricatured (silly scientists, always trying to justify their actions with logic). And yes, you get to meet lots of other species in space. You get to control a UFO (complete with a SETI jammer) and abduct them and everything. Yes, Spore has a very optimistic estimate of the number of intelligent life-forms. Practically every star has 1 to 5 planets, and most of them are occupied by alien empires. This is understandable, because in a game, Mars is not nearly as cool as Martians. If you're wondering how they resolve the Fermi paradox ("If there are so many aliens out there, why haven't I met any? "), they don't. Why, when I was a mere brainless gecko, I saw a UFO abduct one of the rival species. These species, by the way, have been created by other players, but have been downloaded into your computer. That's Spore's entire gimmick, by the way: everything you create can show up in someone's game somewhere on the net. You have an entire galaxy populated by these creations, and boy is the galaxy big! It's not nearly as big as the real galaxy, but it's big enough that it has a real wow-factor. You can explore and see all kinds of stars. Or you can terraform or destroy planets. Or you can place monoliths to speed up the progression of the native species. Obviously, the game borrows as much from sci-fi as it does from actual science. But who cares, if it's fun? As for whether the game is fun... I did not write this to be an actual review of the game, but I obviously like dispensing my opinions. So if you want my opinion, the game is pretty disappointing for something that was in development for so long (8 years). Much of the gameplay is shallow or frustrating. I believe the official excuse is that the game is meant to focus on creativity and sharing--the player designs creatures, buildings, vehicles, UFOs, etc. and they are all displayed on the web. Well, it is fun to design stuff, but can I not also have well-designed gameplay? I guess that means that the game is not "for" me, it's for the casual gamer constituency (insert obligatory flame war here). I also thought it was really disappointing that the game has neither natural selection nor emergent fitness, not because they're realistic, but because they would have been fun. But despite the disappointments and the apparent design flaws, I'm still playing it, so it isn't all bad. This post is meant to follow my explanation of "Why is Quantum discrete?" As I explained before, Quantum Mechanics implies that bound particles have discrete energy levels. If a particle is on one of these energy levels, we would say it is in a pure quantum state (or "eigenstate"). But there are more than just pure states in quantum mechanics. There are also mixed states, where a particle exists with two or more different energy levels all at once! We would call this a superposition of different energy states. Superposition may sound really weird, but mathematically, it's not weird at all. Schrodinger's equation, the equation that defines quantum mechanics, has the property that if you take any two wavefunctions and add them together, you'll get another wavefunction. So if you take one wavefunction with energy E1 and another wavefunction with energy E2, and add them together, you get a mixed state which has a superposition of energy levels E1 and E2 simultaneously! Everybody loves to hear about how weird quantum mechanics is, with particles being able to occupy multiple locations and have multiple energies, but do they realize that, mathematically, it's all just addition? Sometimes I think people who miss the math miss out. If you actually try to measure the energy of a mixed state, you are guaranteed to observe one and only one energy. If you have a particle that is partly in the E1 state and partly in the E2 state, the way we interpret that is that there is a certain probability of measuring E1 and a certain probability of measuring E2. As soon as we measure it, the particle changes into a pure state again. This is called wavefunction collapse, which is the doorway to many of the philosophical questions that loom around quantum mechanics. Wait, I've already talked about this before. Let's say we have a mixed state. That is, a particle is partly in state 1, and partly in state 2. We might call this state (0.5, 0.5), since if we measure the particle, there is a 50% chance of finding state 1, and a 50% chance of finding state 2. But this is the incorrect way of doing it! The more correct way to characterizing the mixed state is with the square roots of the probabilities. Rather than writing (0.5, 0.5), we should write (0.707, 0.707), since 0.707 is about the square root of 0.5. But recall that every number has two square roots, one positive and one negative. Therefore, we can also have particle in the state (0.707, -0.707). If we measure this particle, we will still have a 50% chance of finding it in state 1, and a 50% chance of finding it in state 2. One of the mixed states is mostly on the left side, while the other is mostly on the right. This is perhaps an oversimplified situation, but the point is that they are indeed different. When I said that superposition is just a matter of addition, I fibbed a bit. Superposition is a matter of addition and subtraction. When people hear about mixed states, the natural reaction is to say, "Doesn't it make more sense to say the particle is in one state or the other, and we just don't know which it is?" Yes, that would make more sense, wouldn't it? But that's not the reality. If we were merely ignorant of the particle's true state, we would be able to fully characterize it with probabilities (0.5, 0.5). But to fully characterize a particle in a mixed state, we need the square roots of the probabilities. That makes all the difference in the world. A difference that has been experimentally tested and confirmed. This is a wavefunction that is zero everywhere, except in the middle, where there is an infinitely high spike. The spike indicates that there is a 100% probability that the particle is in exactly that position. Such a pure position state is not actually possible in the real world; because of the uncertainty principle, the position is always guaranteed to be uncertain. But nonetheless, it is still instructive to consider this mathematical construction. Any wavefunction can be constructed this way. Every wavefunction is in a mixed position state. Every particle is in multiple locations at once. It's not weird, it's absolutely commonplace. We just never see it because it's so darn small, the size of an atom. But it acts on every atom. Have I mentioned that it's what keeps atoms from collapsing? Similarly, we can consider other kinds of states. For example, if we have a cat in a box, it might be in a "dead" state, an "alive" state, or a superposition of the two. That's the idea behind the Schrodinger's cat thought experiment. Of course, a simultaneously dead and alive cat sounds completely ridiculous, and it is! I mean, under certain interpretations, it theoretically makes sense, but there's absolutely no way to test it. For all practical purposes, the wavefunction of the cat collapses instantaneously, and thus the cat can be said to be in a pure dead state or in a pure living state. Hey, it's my bloggiversary! A year ago, today, I started this blog. I don't think I expected, back then, to be blogging so consistently for so long. But since that time, there have been about 250 blog posts, almost 500 comments, and almost 20,000 unique visitors. My writing has also greatly improved since then (I think so, anyways). The one thing that hasn't changed much is the site design, because that's way too much work. Sometimes, though, I wish I had a banner... Conspicuous sigh. How to celebrate... I could dig up some old favorites that more recent readers would have missed. Kind of a lame celebration, I admit, but it's just an arbitrary time-marker anyways. This list is not meant to be complete! I already have the archives for that. Two weeks ago, I presented the Ten Greedy Pirates. This is a very classic puzzle, though the number of pirates may vary, and the bonus problem was my own creation. The solution involves solving a simpler case first, and then progressively moving on to more difficult cases. That is, first we try 1 pirate, then 2, then 3, and so forth up to ten pirates. Because we're treating this as a perfectly deterministic process, every pirate knows how much gold they will get if there is a mutiny, if there is one less pirate. Here are the first few cases to get you started. Each pirate is numbered from youngest to oldest. Pirate 1 gives himself all the gold. Duh. Pirate 2 needs only one vote: his own. So he takes all the gold for himself. Pirate 3 must buy one vote. Pirate 1's vote cost one coin (because pirate 1 would get no gold in the 2-pirate scenario, while Pirate 2's vote would cost 101 coins (because pirate 2 would get 100 gold in the 2-pirate scenario). So he gives one coin to pirate 1, taking the rest for himself. That's all well and good for the first three pirates, but for ten, I just made a grid of numbers. The Nth column corresponds to the gold received by pirate N, and the Mth row corresponds to the scenario with M total pirates. 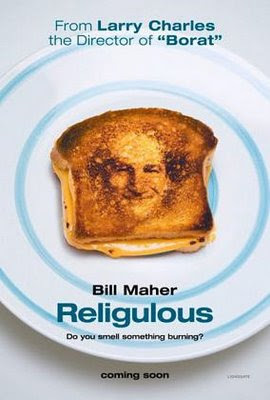 I saw Religulous, the comedy-documentary about religion starring Bill Maher. The bottom line? Funny. So coming into this movie, I did not have high expectations. For one thing, I'm not in skepticism for the mocking. I'm not, like, humorless, but I personally don't much care for mocking. If that's the kind of humor you're going for, I'd rather not have any humor at all. The other thing that I did not like about the movie was Bill Maher. I don't really know Bill Maher as a comedian; I've never seen whatever talk show it is that he hosts. But I have heard oblique mentions in the news that makes me dislike his brand of skepticism. Exhibit A: Bill Maher is an antivaxxer. Exhibit B: Bill Maher used dishonest tactics to get interviewees, prompting unflattering comparisons to Expelled! (it is from the director of Borat). He emphasizes that his message is "doubt", but it's important to remember that doubt and skepticism are not the same thing. Skepticism is a careful consideration of the evidence or lack thereof, while doubt is... well, it depends which side you're doubting! Bill Maher is not so much a skeptic as he is a mere doubter. But the movie was funny. At least, I thought so. And that makes it all better. Really, it does! Most of the humor seems to come out of the editing. A typical joke was: Bill Maher asks a probing question, interviewee gives an ironic answer, camera zooms in on the interviewee's face as he/she thinks for a moment about how ridiculous they just sounded, camera cuts to something else. Funny, funny, yes. But reflective of any deeper truth? Well, maybe, but the point is that the portrayal is so biased (in the name of comedy, of course) that it's impossible to know for sure. Other times, the humor just came out of how normal people react to being interviewed. Some folks are shy, some try to get Maher kicked out. A cantheist (the "can" refers to cannabis) freaked out when Maher said his hair was on fire. One anti-zionist rabbi kept on talking and talking, saying, "Let me finish," several times as Maher tried to interrupt him. So funny, I don't remember what the rabbi actually said. Maybe it wasn't important? So everything I learned about people from the movie, I take with a grain of salt. This is also a good idea with any historical facts given by Maher. (Why, I find that it's good practice to take every atheistic account of history with a grain of salt. I mean, history is a science-like field that can discern truth, not something you can use to come to whatever conclusion is most convenient.) In particular, I noticed he quote mined John Adams, but I'm sure there was much worse stuff that I missed. But if I thought I wanted a more serious and more careful documentary of religion, Maher proved me wrong at the end. In the last five minutes, Maher attached a one-man rant and montage. Stuff about how religion is causing all this violence, how all these normal people are just in it for the comfort that religion provides, but it comes at a terrible cost, namely, the fundamentalists and extremists, and all the moderates are enabling them, and the fundamentalists believe the end of the world is near, and this very well may be a self-fulfilling prophecy. You know, a lot of the stuff that is the rumbling echo in the atheist blogosphere. Man, I don't even agree with all that. And it wasn't funny. He was better when he was funny. So I guess that I prefer a mocking documentary to a serious one after all. At least, if it's being hosted by Bill Maher.